« There s’no man like our snowman! Heaven help us, I’ve found another crafting obsession. 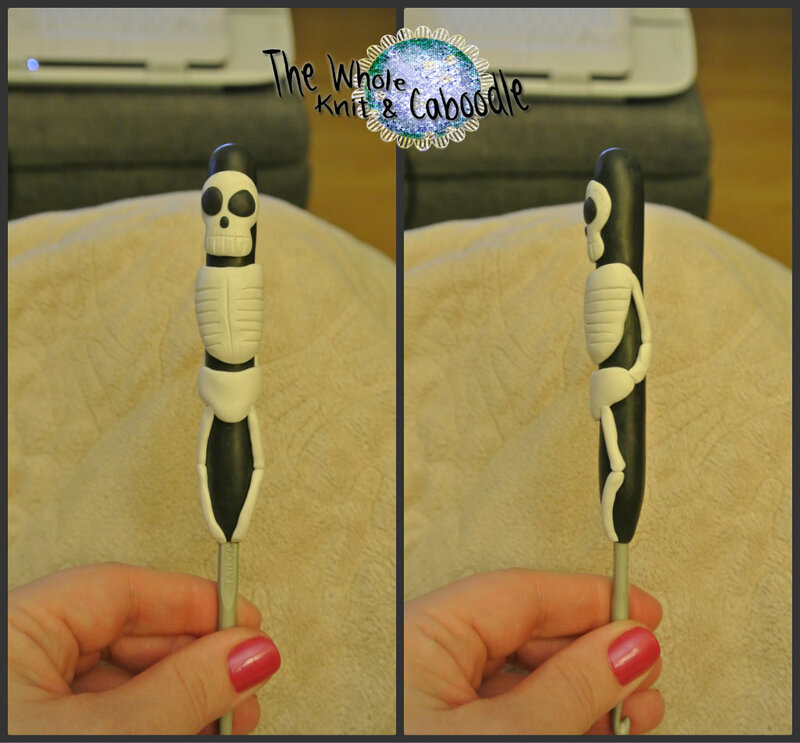 So many people I know are into making polymer clay handles for crochet hooks. I’ve never used one (I like my hooks naked) but I’m taking part in a gift exchange and have decided to make a set of covered hooks for my “giftee”. I watched some tutorials, harassed some people I know who are into clay and picked their brains. I went to Michaels armed with a 50% off coupon and bought a big sample pack of Primo Sculpey. I was a little scared to open it- it sat on my kitchen table for days and I’d pick it up now and then, poke at the colours through the little windows in the box and set it back down. While I was digging through my craft stash I found a couple packages of Sculpey III I bought a few years ago for another project. They had been opened and the clay was hard and crumbly but after kneading it for a while I got it to a state where I could actually do something with it. I figured it was good enough to practice with and when I’m confident I’ll open the pretty new stuff. The lady I’m making the set of hooks for likes things that are sort of creepy-cute so I’m going with a skeleton/skull theme. When I was in elementary school my music teacher played “Danse Macabre” for our class. This little skeleton guy makes me think of that. Still needs to curing and a coat or two of sealant but not too bad for a first attempt! I also found an empty Penaten Cream can that I may cover and pretty up. Ahhh!! SO many ideas for this clay. We’re in trouble. I love them! It never even dawned on me to make stuff like that with modelling clay, I use to use it to make bits for jewellery and that. I have to give this a go sometime soon. Only joined pinterest last week…so many pretty things. My craft to do list got massive, seriously gorgeous stuff on it. Hey (Yup, I’m back again.0 Just wanted to let yuo know that I’ve put yuo forward for a liebster, mainly cus I peruse your blog a lot. Delighted too. I love your stuff. 🙂 I was chuffed when I was put forward so I figure it’s nice to spread the joy.